Yea I thought so. So 4.7 is only for a “top up” if needed. Not full force carbonation. Yea I thought so. So 4.7 is only for a “top up”. The full force carbonation. But it doesn't preclude full force carbonation, and most (non German at least) plants do full force carb. There are advantages K points out at other places to higher temps and lower pressures in fermentation and maturation. Moreover it's an equipment issue: you note that you can filter carbed beer, but it is more difficult, and not all breweries will have the ability to do it. And I've not been arguing for any particular method, I just want the end result. Homebrewers can do what they want. If you're charging me cash money for the privilege of drinking your Pils with some overpriced "small plates," it had better be clean and clear. This book is the german brewing bible. So everything you read there within should have that asterisk. If they are RHG compliant they will be "bunging" as it states so in that paragraph. Also filtering while carbonated is just as easy. You set your prv to a higher blow off than the carbonation level.. Simple as that. I have done it countless times. HOWEVER, never once have I been able to do it without a measurable (orbisphere readings) o2 uptake( pre-carbonated or not). But thats not a discussion for here and now. I like IPA, but I'm tired. Just give me a friggin awesome lager, thank you very much. I was just at a brewfest yesterday. IPA everywhere (well that, and s***ty beers with Skittles and suckers and jelly in them). I finally stumbled upon a very tasty homebrewed lager. It was a rare sight to behold. I think that was my favorite beer of the whole night. There’s so many nucleation points on a filter I’m not sure how it could be done. That said I could be wrong. Whenever I go to a brewery for the first time, I try out their pils, Kolsch, or other similar beer. If it's good, I know they can brew. You can't hide mistakes in those beers. I like many types of beers. But, there is something amazing about a pils that is well done. 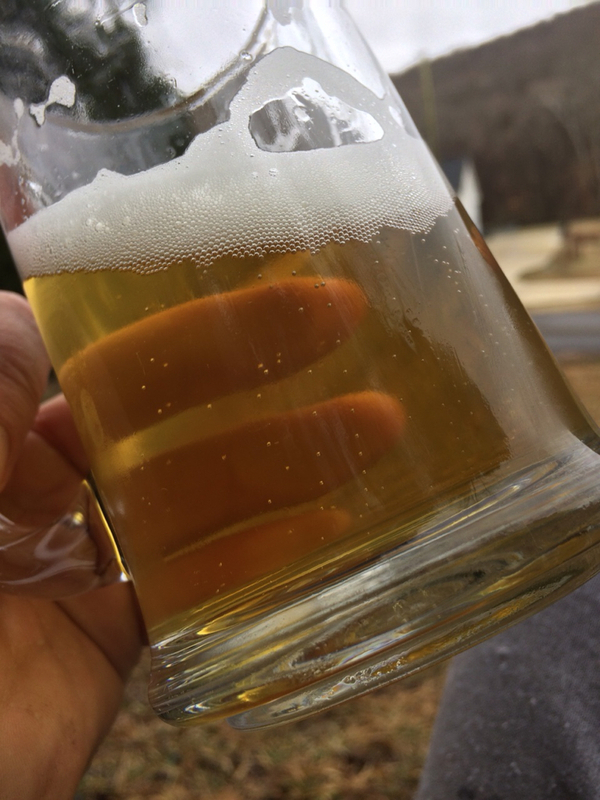 I extend my right hand of fellowship to all the pils brewers out there (like me)! Centrifuges are awesome BTW. 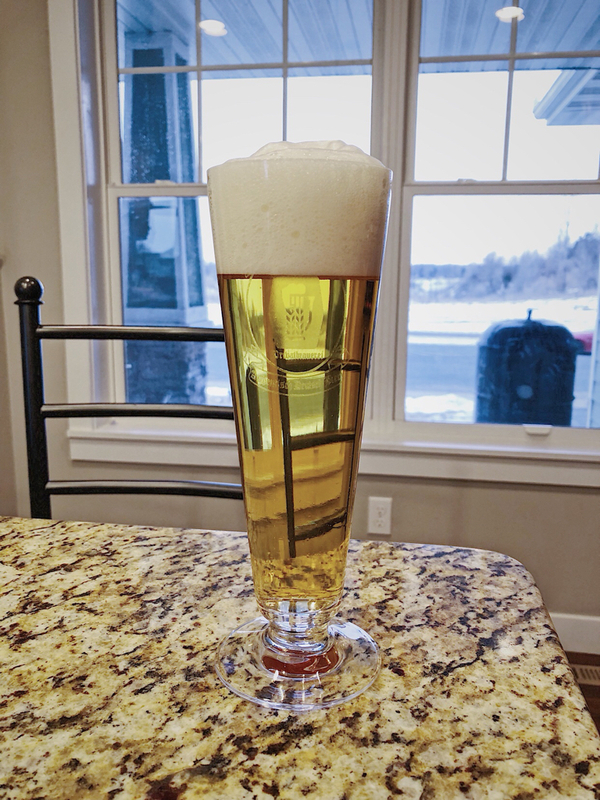 My pilsners and Kolsches are crystal clear. When do you employ the centrifuge? Can it hold a whole batch? The beer runs through the centrifuge after lagering. Not sure how big the bowl is exactly but it’s just a process. Takes about 2 hours to centrifuge 60 bbls. I see your pils and raise you my “non-clarified” pils. That’s pretty I’ll grant you that. And nice photography too. So, you're saying that you can detect flaws in a pils, but not an IPA, then go on to blame it on hops hiding the flaws? Not having the palate to tell a good IPA from a flawed one sounds like a personal problem to me. Everyone is asking for pils over IPA, which I'll gladly support. But can we please put regular beer in casks? Cask ale is pretty common...but the beers that end up in the cask are usually some s*** fruit stupidity or other similar experimental beer. Flying Dog had cask ale on tap every Friday in Camden Yards last O's season, and every single one fell into the experimental/whacky for no reason category. I just want a beer to go with my Boogs BBQ and crab dip, not a mango-melon fusion NEIPA.